Any sale is about much more than simply providing a product or service. A sale is really about delivering a promise to the customer. Unfortunately, many companies have no idea what their sales promise is. Sure, they may have a company vision or a mission statement, but those things usually don't address the specific processes the company uses to deliver value to its customers. A true sales promise goes way beyond a tangible deliverable. It's about the customer's interaction with your company throughout the sales cycle. It's a sense that everyone from every department is aligned on customer satisfaction. It's about the service and interaction with the company after the sale. It's about making customers feel confident that your company as a whole — not just a single product, service, or salesperson—can deliver the results the customer wants and exceed expectations. In essence, it takes every single department to fulfill your company's sales promise. When you actively define the promise you want to make to your customers, and then make sure everyone in the company knows what that promise is, you can deliver on your promise and exponentially grow your sales. making sure your sales promise is crystal clear. In order to deliver on a promise, you first have to know what the promise is. Get the various departments together and ask them, "What do we want our customers to experience as a result of working with us? What do we want our promise to be?" Then listen to the issues or expectations each department brings up. Having this conversation in a group format with the various departments represented is crucial, because people need to see how the different departments work together to deliver on the promise. Of course the billing department wants to send out accurate invoices and reminders, the engineering department wants to create workable solutions, and the shipping department wants things shipped on time. But if no one sees how their process impacts another department's process, then the process as a whole will break down — along with the sales promise. Therefore, after you define the promise in general terms, pay attention to the small details of the promise. Look at everything, including customer callback times, product turnaround times, billing cycles, shipping times, customer service follow-up, etc. Be specific. Simply saying, "We promise to call customers back quickly" is not specific. What is quickly? One hour? Four hours? Two days? Without the details defined, it's easy to break the sales promise. Once you have the promise defined, provide ongoing training to each team member on what the sales promise means and how everyone in the company can work together to deliver on the promise. Educate all new hires with the premise and details of the sales promise, and ensure that current employees are always on board with the message. Also, make sure everyone in every department can clearly communicate what the company's sales promise is and how they and their departments play a role in fulfilling that promise. Make it clear that everyone is responsible for fulfilling some part of the sale and impacting some aspect of the customer's experience. Finally, as part of the training, ensure that everyone understands it's their job to hold each other accountable for delivering on the promise, and train them on how to do so. Remove the corporate silos, where departments operate in a vacuum, and train people how to communicate across department lines so they can all work together to ensure that the sales promise gets delivered to every single customer. With all the details worked out, and everyone in alignment with the company's sales promise, it's time to communicate that promise to customers. But customers don't need or want to know all the detail work you've just done. They simply want all those details to flow smoothly as they interact with you. A good sales promise from a customer's perspective is something broad and global — something that resonates with people. Perhaps all the detail work you've just created gives customers "the easiest shopping experience ever" or "the best casual dining atmosphere" or "the latest technology innovations simplified." Whatever your promise is, promote it in a way that speaks to what the customer truly wants. With that broad and global sales promise being promoted, employees will then be empowered to use the newly-created processes to go above and beyond to exceed the customers' expectations. When the people within your company focus on the fact that everyone in every department is involved in the sales process, creating and living by a sales promise is much easier. So if you want to grow sales and create a following of raving fans who are eager to do business with you, get started on your sales promise today. Remember, the sale is just the start; the promise is ongoing. 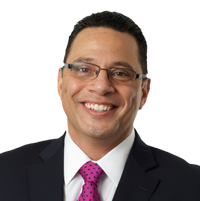 Victor Arocho is an executive coach, speaker and managing partner with Potential Sales & Consulting group. He specializes in exponentially growing sales by bringing accountability to the sales process and crafting a sales culture of success. To learn more about Victor, please visit www.victorarocho.com.